If you have been involved in an automobile accident or traffic collision, you may be entitled to compensation from the negligent party's insurance company and/or your own if the negligent driver was uninsured or underinsured. Never proceed with a negligence claim without first obtaining legal advice. At the Law Offices of Kevin T. Grennan, PLLC, we will promptly investigate a crash and seek to recover all legal damages. Insist that a report be filed with the police or highway patrol. Obtain the name, address, insurance information, vehicle license number and driver's license number of any and all other persons involved in the accident. 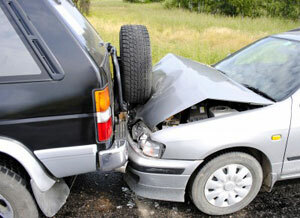 Also obtain the names, addresses and telephone numbers of all witnesses to the accident. Photograph the accident scene, including all vehicles involved (before repairing) and any visible injuries (cuts, bruises). Use your cell phone camera at the scene! Sign nothing without consulting a lawyer. Truthful statements made in an attempt to be helpful can sometimes be misinterpreted and used against you.